This is how you will become awesome at email..
HOW TO "SNOWBALL" YOUR DAILY SALES BY WRITING SIMPLE 20-MINUTE "CAFFEINE EMAILS", MAKING YOU MONEY JUST ABOUT EVERY TIME YOU CLICK "SEND"! It's what I do. Every. Day. It's what I've done to generate more than $4Million using email alone. Oh, and it takes me about 20 minutes per day. Yup. It's easier than you think.. BUT you have to know how to do it. So what I've done for you is create a product called "EmailReboot". A physical printed publication called "EmailReboot" that is mailed directly to your front door, containing the information and techniques I use on a daily basis to generate more sales using only email. The "what", the "why", and the "how". This is where the real "GOLD" is. 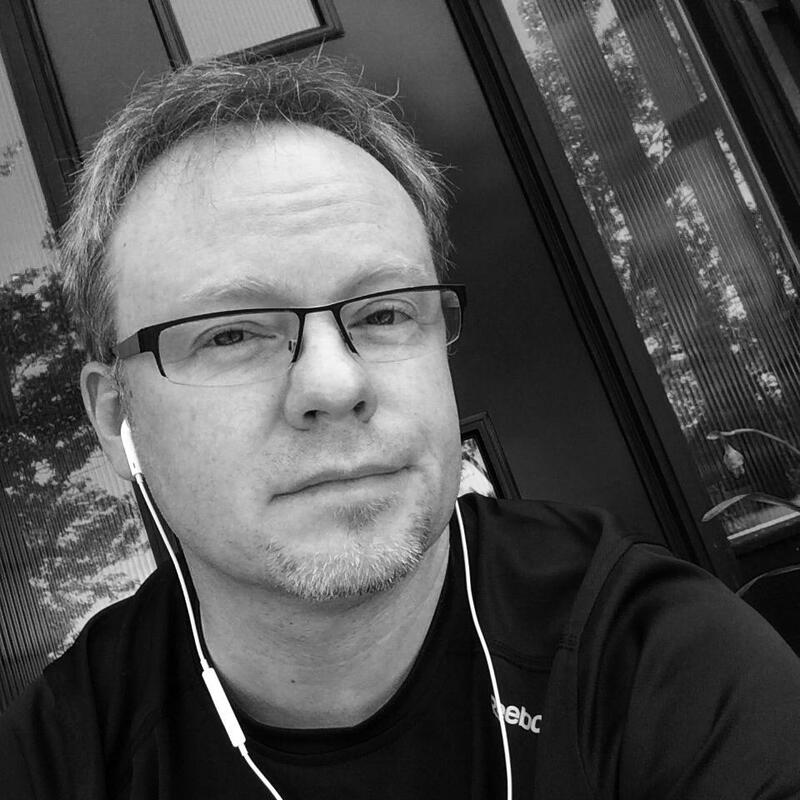 A membership to my website that contains essential information over and above what is printed in your EmailReboot copy, including email and sales funnel critiques and reviews, all done by yours truly. Access to monthly "Marketing Hot Seats" where I take one person's marketing and review it top to bottom, inside and out, and help them become more efficient, more effective, and far more profitable than they are currently. Access to our "members only" Facebook discussion group. Hang out and shoot the sh*t with our members. Learn how to become awesome at email marketing. And get access to me - it's where I'll be hanging out. PLUS A Special BONUS of my "Manual for Success in Email Marketing". A must-have product that teaches you EXACTLY what emails to send, how to assemble them, and when to send them. + more stuff that will actually HELP you make more money. My goal is for you to absorb the information provided in my newsletter and my website, and put it to work for you immediately (same day) to generate more sales for your business. Actionable techniques based on real results. Pssst.. This IS the shortcut. Maybe for you. Maybe not for you. But I will say this.. Marketers that are committed to making more money with email. It doesn't matter if you have a small list (or no list). It doesn't matter if you're brand spanking new, or an industry dinosaur. This can help you make more sales. It doesn't matter what industry you're in. My proven techniques and style can help you make more sales. So is this for EVERYBODY? If you don't implement what I teach you, you will not move forward. Simple, right? If you are in the "get rich quick" crowd, or think that's even a possibility, you're in the WRONG place. If you want someone to do it FOR you, you're in the WRONG place. If you can't handle brutal honesty and tell-it-like-it-is commentary, you're in the WRONG place. If you're expecting "copy & paste" moneymaking, you're definitely in the WRONG place. If you are easily distracted by the latest "shiny object", please please don't buy this. I don't want you on my buyers list. If you think reading EmailReboot is going to make you rich today (or in 30 days), you're in the WRONG place. However.. this might be EXACTLY what you're looking for. If you're ready to "kill it" with email marketing, I can show you how I do this, and show you how YOU can do this. For me it's all about freedom, and that's what this type of marketing gets me. As I said.. these emails take me about 20 minutes to write... and then I'm done. If this is ABSOLUTELY something you can commit to, you can purchase a membership and we'll get you started. If not, I'm still going to be doing this every single day, with or without you. The thing is, I can only let so many people in (because I only have so much time to dedicate to this), so this offer could come 'off the table' at any time, or increase to a MUCH higher 'keep-the-riff-raff-out' price. Okay, so the value of this product is outrageous. I hope you can see that. And generally I would be charging upwards of $297 per month for this (and I have), mostly because of the intense one-on-one access to me you'll be getting - in addition to the PHYSICAL newsletter I'll be sending you every month + the aggressive marketing information, reviews, and critiques you'll be getting access to inside your own backoffice.. But for now I've reduced the monthly cost to only $297 $77. As I said above, due to "space" limitations, I can only let a certain number of people in, so this offer could disappear for a while, or I'll just put the price back up. So NOW would be a good time to "lock it in" at this low price. NOW IS THE TIME, DON'T YA THINK? Q: Can I download EmailReboot and view it on my computer? A: Nope. 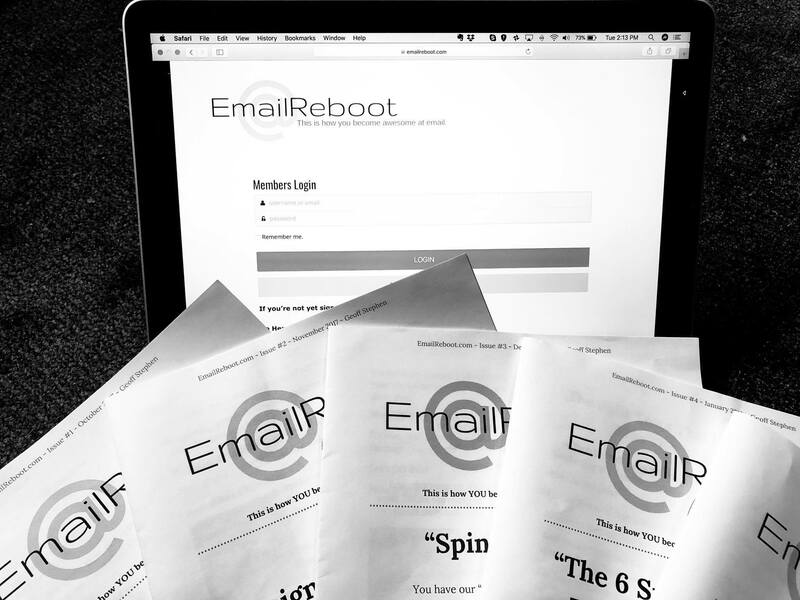 EmailReboot is a printed document (ink & paper) that we mail directly to your door. That's part of the reason it's awesome, and exclusive. Remember that your membership also includes access to our membership site where I'll post all my supplemental training and resources, plus my webinars, plus access to me directly via our Facebook group.. plus more awesomeness than I can't list here. Trust me, the value of this thing is outstanding. A: This is not a trial offer and I don't provide refunds. All sales are final. You can, of course, cancel your subscription at any time from inside your backoffice. Q: Why should I listen to you? What's your experience? A: I have been in internet marketing for about 20 years. I have built many online businesses and have sold just about anything that can be sold online. I have built membership sites with close to 300,000 members in total. All built through email marketing, I might add. I have trained thousands of marketers via video courses, countless webinars, one-on-one consulting and coaching, workshops, and at live marketing events across the country. But really, you should listen to me because I'm going to help you make more sales. Period. A: How about email? Opt in to: https://emailreboot.com/ and you can contact me through that email process. Q: Will you teach me how to make money from scratch? A: Not really the point here. My training can help you "enhance" your marketing and make MORE money than you are now. That said I do provide list building and email basics throughout my training. Q: Do you have an affiliate program for this? A: Yes. EmailReboot subscribers have access to it. Shall we?... Click the button below and get instant access..